You may have heard of a popular new segment in cycling circles…the class of bikes known as “gravel bikes” (also referred to as gravel-grinders, gravel racers, etc.). This class of bike seems to offer commuters the best of both worlds: the efficiency of a road bike, coupled with stouter construction and the ability to fit wider tires, racks, and fenders. This really isn’t that new of a concept, though…the “monstercross” category has been around for a few years, but is only now coming to the forefront with the popularity of events such as the Almanzo 100 or the 3 Peaks USA. 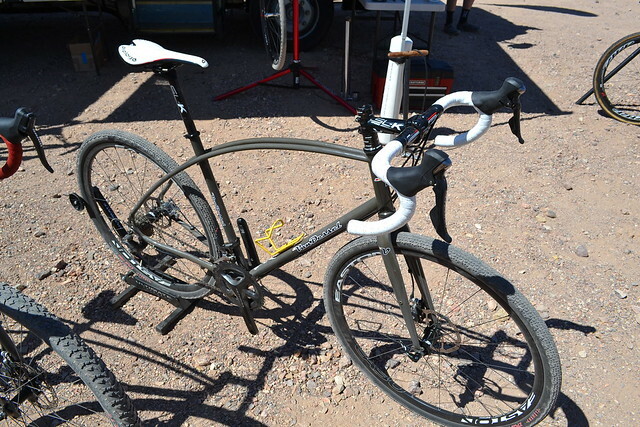 This is mostly a mid-priced disc cyclocross bike, but with fender mounts front and rear. It is priced around $1600. 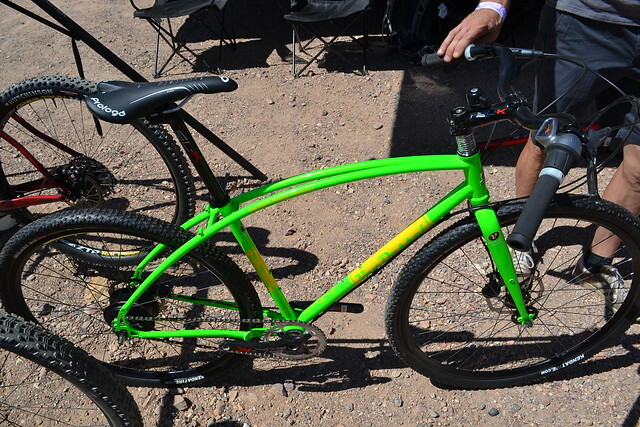 My favorite part of this bike is the phosphated raw frame finish…clearcoated for protection. 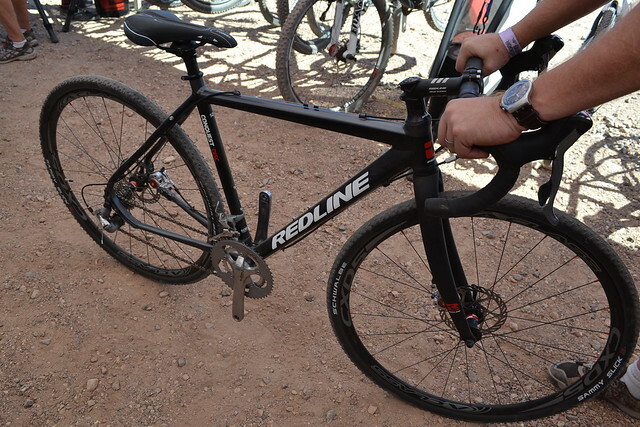 The frame/fork/headset retails for around $699, and complete bikes start around $1199. Tomorrow at the indoor show, we are going to track down the Raleigh Tamland, the Surly Straggler, the new Niner RLT9, and whatever else we can lay our eyes on. Please stay tuned!